BJP leaders sure know how to put social media to good use. Some of them use social media, especially Twitter, to disseminate information to people and also help them out when they request for help. Here are three interesting incidents when BJP ministers took cognizance of the matter on social media and helped out the public. This is the most recent example of a BJP minister helping out a member of the public. 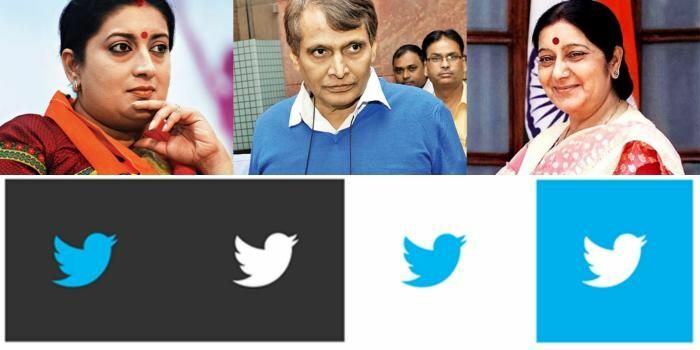 On 26 November, a woman passenger travelling alone on an outstation train in Mumbai was quickly attended by authorities after she sought help by tweeting to the Twitter handle of Railway Minister Suresh Prabhu. She had complained that a man in her coach was harassing her, and since she was travelling alone, she was terrified. The passenger, Namrata Mahajan, posted a tweet directed to his Twitter handle @RailMinIndia, while she was passing through Shegaon railway station. A senior officer immediately took note of the tweet and since her details were unknown, a tweet directed to her Twitter account was sent out. She was also asked to contact security helpline number 182, which she did eventually. She also gave out details of her position via Twitter. She was attended by RPF Jawans once the train reached Bhusaval railway station. She later tweeted her thanks to the Railway Minister. Back in August, Twitter user Dev Tamboli posted a tweet directed to Minister of External Affairs Sushma Swaraj. He tweeted, "@SushmaSwaraj need help for rescuing my sister fm UAE. She went to UAE for job on 14th but now locked in a room pls contact me +97466893988. Swaraj promptly replied, "I have asked our Ambassador in UAE to help. He will speak to you and do the needful. @Devtamboli." As soon as the girl was rescued, Swaraj again tweeted "We have rescued your sister with help of local Police. She is being moved to a shelter home run by Indian Embassy in Dubai. @Devtamboli." Tamboli replied saying, "@SushmaSwaraj thanks, just got call from ambassador. I launched complaint with help of my friends in UAE and Dubai CID also started action." He then thanked the Indian government and other social media organisations that stood by him at the time of distress. Human Resources Development Minister Smriti Irani intervened after major student unrest was reported at National Institute of Technology (NIT), Durgapur, following the death of student, Prosenjit Sarkar. The student died of medical negligence. Students across colleges came together demanding justice for him, urging the HRD minister to intervene in the matter. They even started an online campaign with the hashtag #JusticeForProsenjit on 24 November. Smriti Irani responded to the social media messages of students saying that she has asked for an explanation from the concerned authorities. The report on the entire incident is expected to come out within a week. One year on, has cricket learnt anything from Phil Hughes' death? READ NEXT >> One year on, has cricket learnt anything from Phil Hughes' death?